Our museum tour continues into New York&apos;s North Country. The Adirondacks are rightfully known as a paradise for those who love outdoor activities, thanks to being the largest publicly protected area in the contiguous United State. At 6 million acres, it&apos;s bigger than Yellowstone, Yosemite and the Grand Canyon combined. Many of the region&apos;s numerous museums take full advantage of their stunning settings. 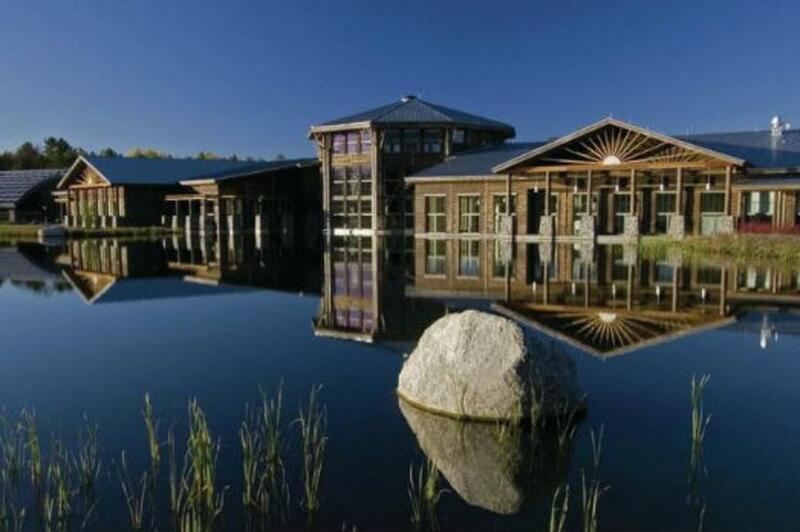 The Wild Center in Tupper Lake is a dynamo of a museum that seeks to draw people closer to understanding their natural environment. Opened just ten years ago, the Wild Center has already made a huge impact. Through immersion in the rich environment of the Adirondacks - there is an indoor fish pond and otter pool, and nature trails all over the 81-acre property - visitors young and old are afforded the chance to ponder their inevitable footprint. Bring the kids to the Wild Walk for an adventure in the treetops! The Adirondack Museum in Blue Mountain Lake started out as a logging camp, built by Tyler Merwin in 1874. When tourism became popular, Merwin built a hotel that eventually was acquired by the Adirondack Historical Association. In 1957 they founded this fine museum to document the region&apos;s history and heighten awareness of its fragile ecosystem. For a paddler like me, this is a bit of heaven; the guide boat display alone makes the heart thump harder. But you&apos;ll also get a strong sense of how Adirondack-style came to mean adventure to so many generations--and how those Adirondack chairs got invented. The museum campus includes many buildings and exhibits and overlooks Blue Mountain Lake far below. I challenge you to step on the deck and not let out an audible gasp. Fort Ticonderoga has guarded the water passage between Lakes Champlain and George since the French and Indian War. The 2,000 acre site hosts an amazing array of demonstrations, exhibits, events and tours, like musket and cannon firing. There are sumptuous gardens, hiking trails, tour boat cruises, canoes for rent and even a six-acre seasonal corn maze for the kid in all of us. For more great Adirondacks museums, click here. First, clearing this up: Thousand Islands salad dressing does originate from this archipelago, located where Lake Ontario feeds northward into the St. Laurence River. This watery vacationland had its boom in the early twentieth century as rich New Yorkers and Chicagoans found their own islands upon which to construct getaways. At some point, as legend has it, the proprietor of New York&apos;s Waldorf-Astoria was served this local concoction and put it onto the menu of his famous hotel. The rest is a gloppy but delicious, reddish-orange history. Boldt Castle, on Heart Island, near Alexandria Bay, was begun as an act of love and abandoned in the wake of tragedy. In 1900, George Boldt, the millionaire proprietor of NYC&apos;s Waldorf-Astoria Hotel, wanted to build a summer palace for his beloved wife, Louise. Hundreds of craftsmen labored to construct the six-story, 120 room castle-complete with tunnels, a powerhouse, Italian gardens, a drawbridge, towers and a dove cote-but construction was abruptly halted in 1904, after Louise&apos;s sudden death. The heart-broken Boldt never returned to the island, and the castle and grounds deteriorated for almost 75 years. Now, with the restoration of castle, outbuildings and grounds, it makes for a magnificent visit, and you can even rent it for your wedding. It&apos;s only open in the warmer months, so be sure to file it away for 2017. 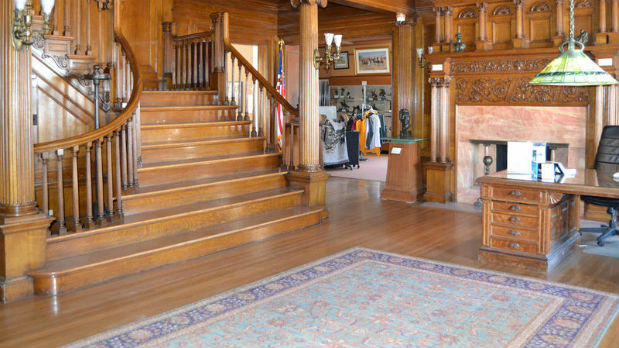 The Frederic Remington Art Museum, in Ogdensburg, pairs a sumptuous early 19th century house-think wood paneling and Tiffany chandeliers-with an extensive collection of works by the enduringly popular painter of iconic images of the American west. Based on the collection of Eva Remington, the artist&apos;s widow, not only does the museum have a broad selection of paintings, drawings and bronzes, there are many personal items - sketchbooks, notes, photographs and even the cigars in Remington&apos;s pocket before he died - that provide a unique insight into both man and artist. The Antique Boat Museum in Clayton makes visitors wonder if there is anything more elegant than a vintage wooden watercraft. What expresses the free spirit of the region better than a sleek mahogany runabout? You&apos;ll be thrilled by this beautiful collection of classics and, weather permitting, you can ride the river aboard the Miss Thousand Islands or ply the oars of a traditional Saint Lawrence skiff. This is one of those must-sees in New York. The museum is a serious and satisfying education in the origins of freshwater boating. The Antique Boat Show in August supplies the perfect reason to go! For other museums in the Thousand Islands-Seaway region, click here. Next week, we journey into Central New York and the Finger Lakes region. See you then! Don Wildman is the host of Mysteries at the Museum, Monumental Mysteries and Greatest Mysteries on the Travel Channel. Follow him @donwildman.